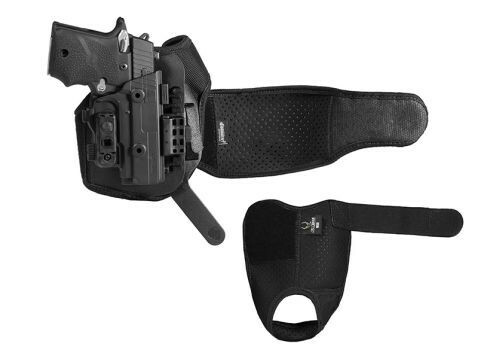 This is a better class of Glock 42 ankle holster. 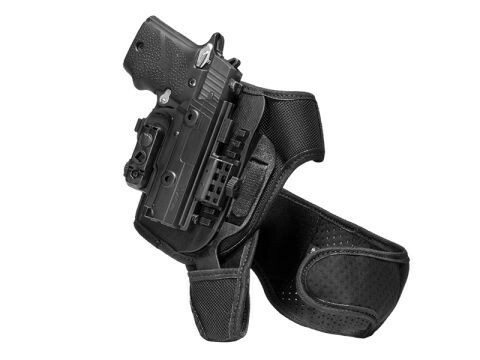 Other ankle holsters for this pistol often leave a lot to be desired in terms of fit, retention, comfort and overall quality, which Alien Gear has set out to overcome with an innovative new design of holster. 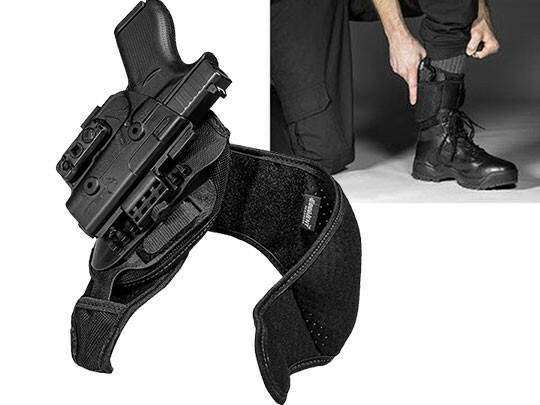 Other designs of ankle holster for Glock 42 pistols usually just strap at the ankle or rely on a garter system. They fit okay, but will eventually start riding down and otherwise moving as you do. Even walking briskly can cause the gun to move around. Then you have to deal with the chafing from the material and - especially if wearing leather - your ankle area turning into soup, which can be unpleasant. 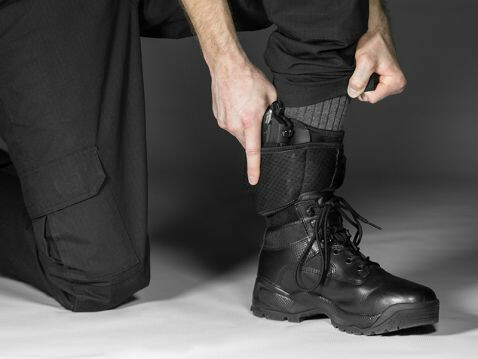 With our ankle holster, Glock 42 pistols ride securely. 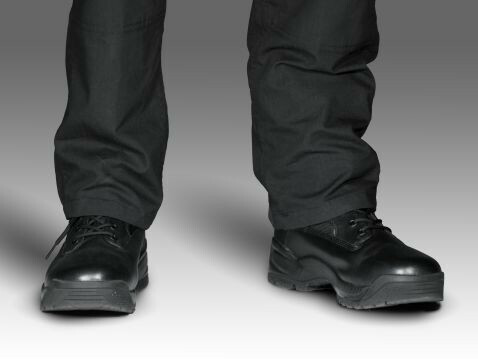 We use a two-piece strap, including a heel strap and ankle strap for incredible stability. Once secured, your gun goes nowhere. 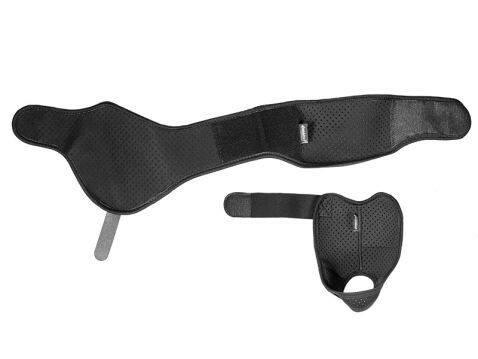 The strapping is also elasticized in key areas, allowing the straps to stretch while being securely fastened and making the holster comfortable to wear. 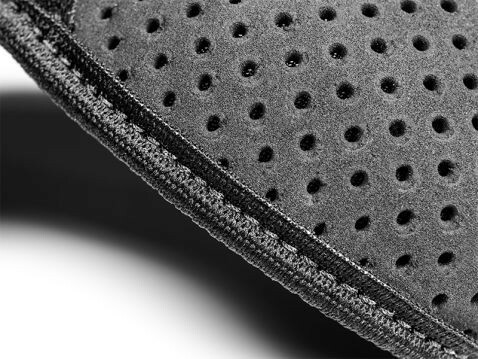 The breathable ventilated neoprene material also keeps the skin cool, while wicking away moisture. This makes this Glock 42 ankle holster much better to wear for extended periods as well. You'll also notice the ride height is adjustable, so you can set the holster to carry at the ride position you prefer. Never worry about retention. This holster is custom-molded for the Glock 42 pistol, fitting perfectly right out of the packaging and holding the pistol better than universal designs that barely fit any gun. You can also dial in the passive retention to your exact desired setting. 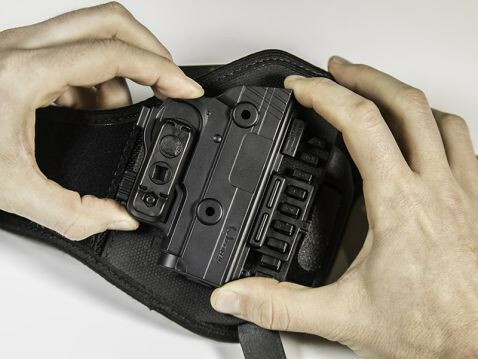 The Alien Gear Glock 42 Ankle Holster also comes backed with our Iron-Clad Guarantee, including a 30 Day Test Drive trial period and a comprehensive lifetime warranty. Take the first 30 days to see if you like the holster; return before the end of the first month for a full refund if not. Past that time, we will repair any defects or damage to the holster or replace it outright. Get ready for a shift in what you can expect from ankle carry.